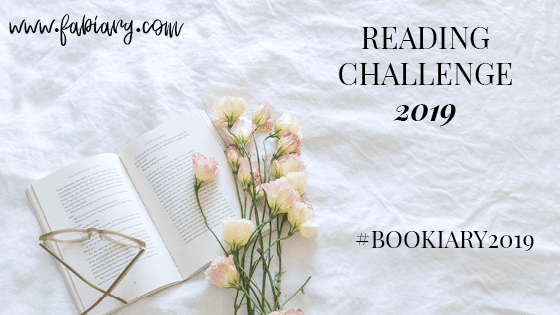 Lattes, Lipstick & Literature: 2019 Reading Challenges! By the way, if you are also participating in one of the challenges that I listed below (or even one I am not doing) let me know, I would love a challenge buddy to help stay focused on my goals. 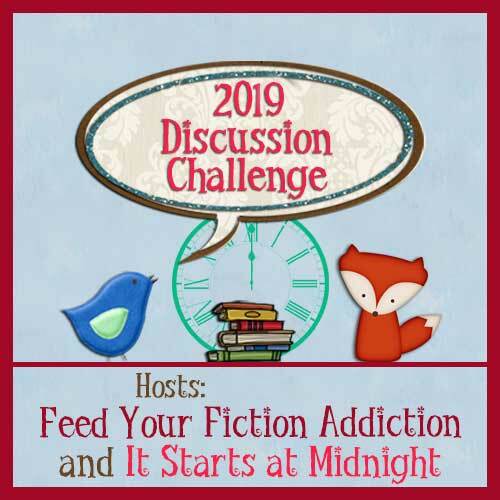 2019 Discussion Challenge (#LetsDiscuss2019) is hosted by Feed Your Addiction and It Starts at Midnight. This is a simple challenge that facilitates discussions (something I need to be a part of ). The only thing is that the discussions need to be around books or is book based, plus there will be monthy giveaways and they choose someone to spotlight on each month. Reading Challenge 2019 (#Bookiary2019) is hosted by fabiary and incorporates Blogging, Youtube, and Instagrammers to join. The goal of this to read one 100 page book a week (totaling 52 books in a year) and write a meaningful review that is at least 150 words. 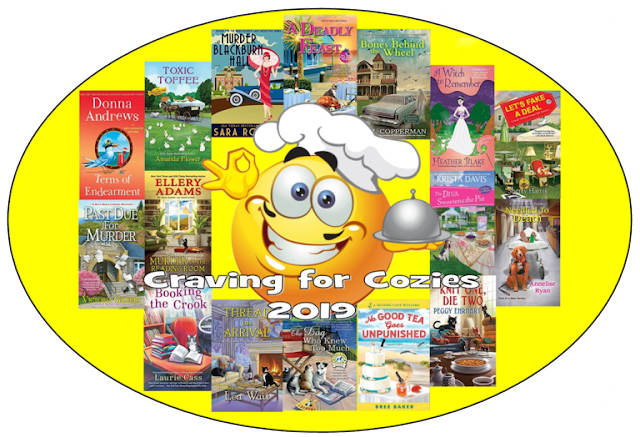 The Craving for Cozies 2019 by Escape with Dollycas is the only genre-specific challenge I will be doing next year. I choose this one because I read a lot of Cozy mysteries in between my more emotional books and I love them. There is also a Facebook group you can join where you can participate so hopefully I will see you there. 2019 Library Love Challenge (#Library Love Challenge) by Angels Guilty Pleasures is a challenge devoted to reading Library books! Library books need more love too so I really wanted to do this challenge. Plus, there is a giveaway that you can enter with each review you do, so that is just another added bonus the minimum is 12 books but you can go as high as you like. 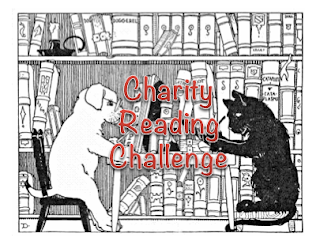 This Charity Reading Challenge hosted by Becky's Book Reviews not only promotes reading but helping out with donating to charity. There is no minimum or maximum amount to participate, how you participate is purchase and read a book that you buy from a charity shop. If you do not buy a book for a charity shop you can just agree to donate money to a charity (i.e. $.50 for every paperback and $1 for every hardback you read) you can donate to multiple charities as well. I am aiming for at least 10 books. 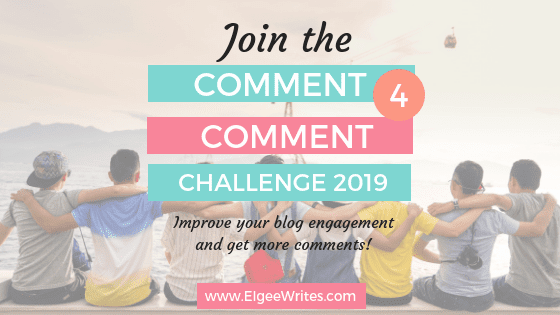 The Comment 4 Comment Challenge 2019 hosted by Elgee Writes , just like the blogger discussion, promotes community discussion which is great and I am always down to meet new bloggers and participate in the community! 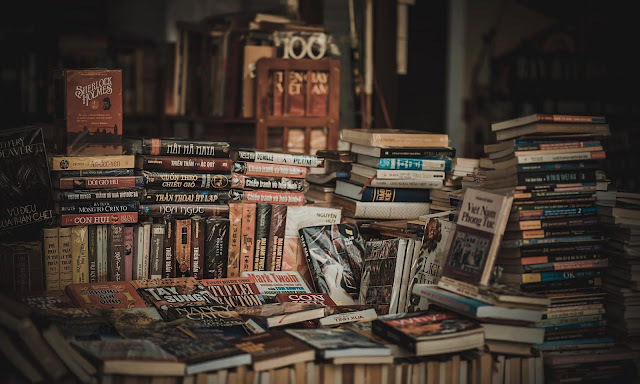 I did this 2019 AtoZ Reading Challenge (#2019AtoZChallenge) hosted by Ginger Mom Reads is a challenge I did last year so I wanted to participate again. All you got to do is read books that line up with a letter of the alphabet (i.e. Little House on the prairie = L). It's super easy and there is a giveaway as well! I am aiming for all 26!